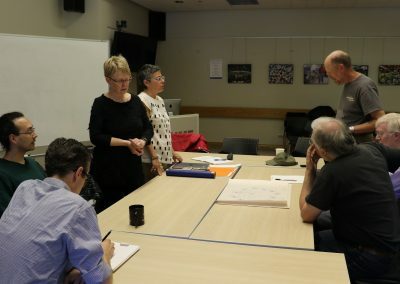 We started Phase 3 by analyzing the outcomes of the original Process Design, the overall fabric of artworks produced, the interactions and feedback loops between artists and physicists, the physicists’ range of responses, and further considered the discussions between all the panelists and participants at the Translation Hub held during the January 2018 exhibition. 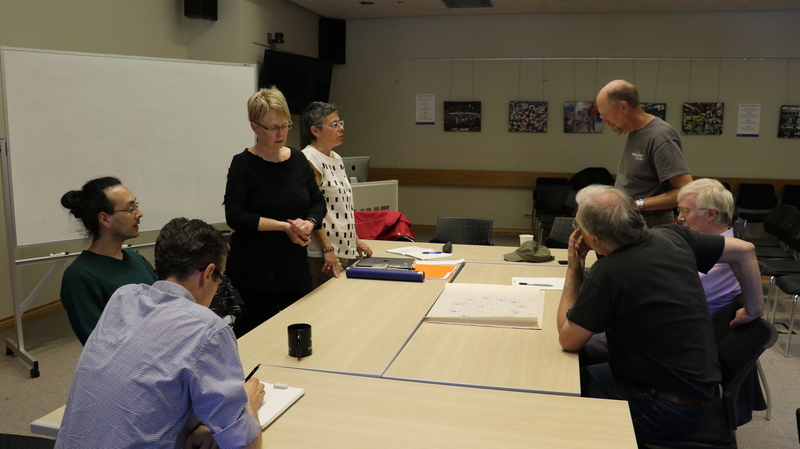 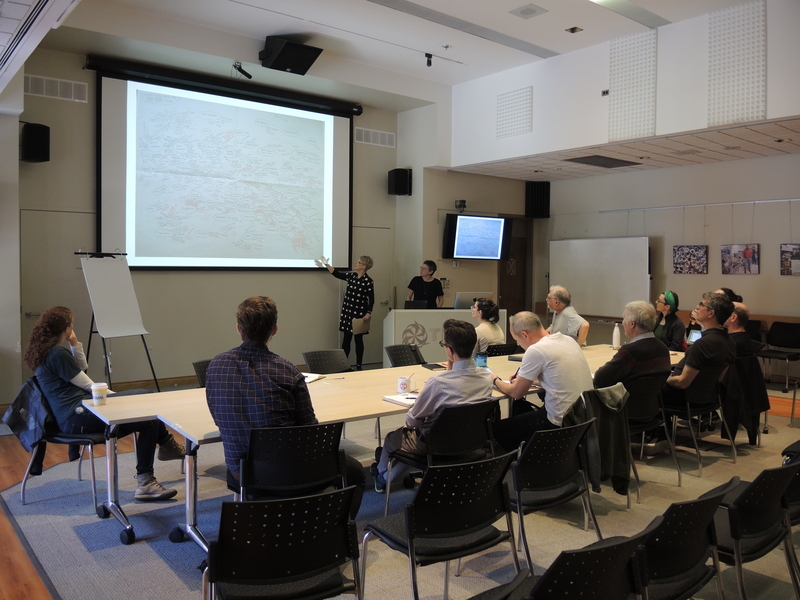 We worked with a core team of TRIUMF physicists to redesign the process of artist/physicist collaborations for a second production period starting in September 2018 with a new set of interactions. 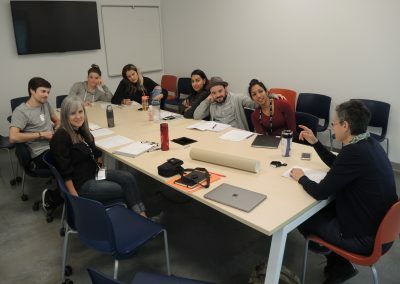 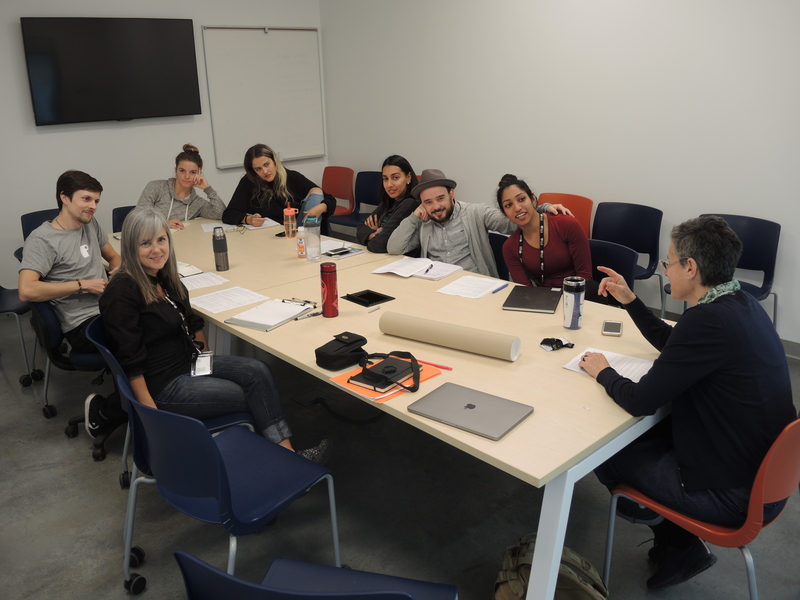 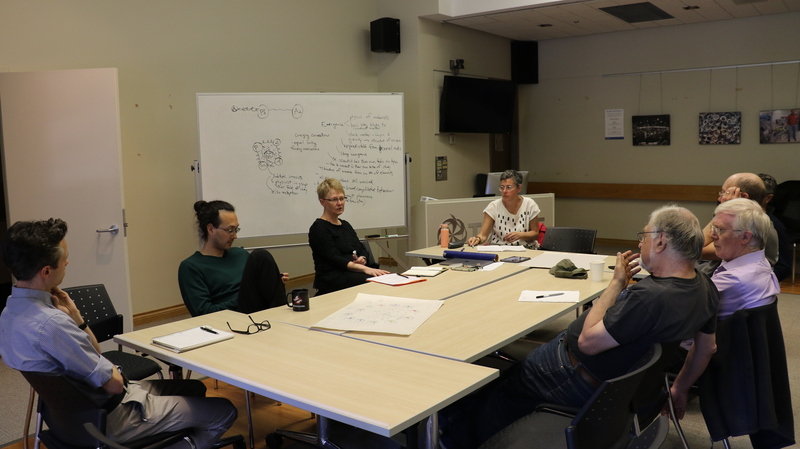 Together we continued to develop and assess possible models of collaboration to engage with the diverse languages employed by artists and physicists. 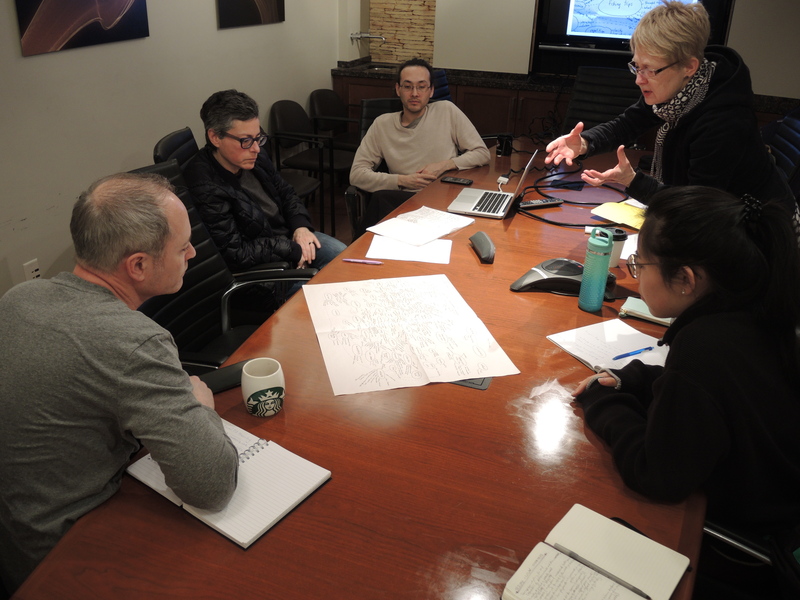 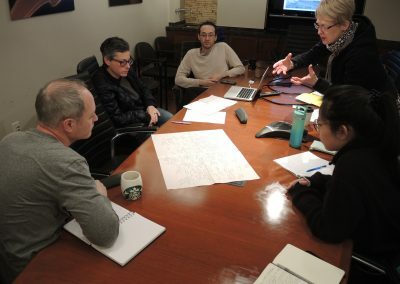 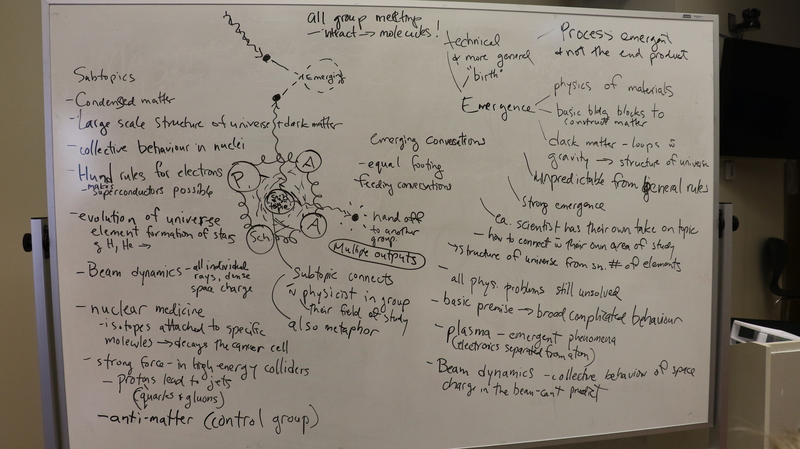 At a series of meetings we discussed a new experimental approach to the process design that could involve a deeper commitment to collaborative groupings in order to engage co-thought. 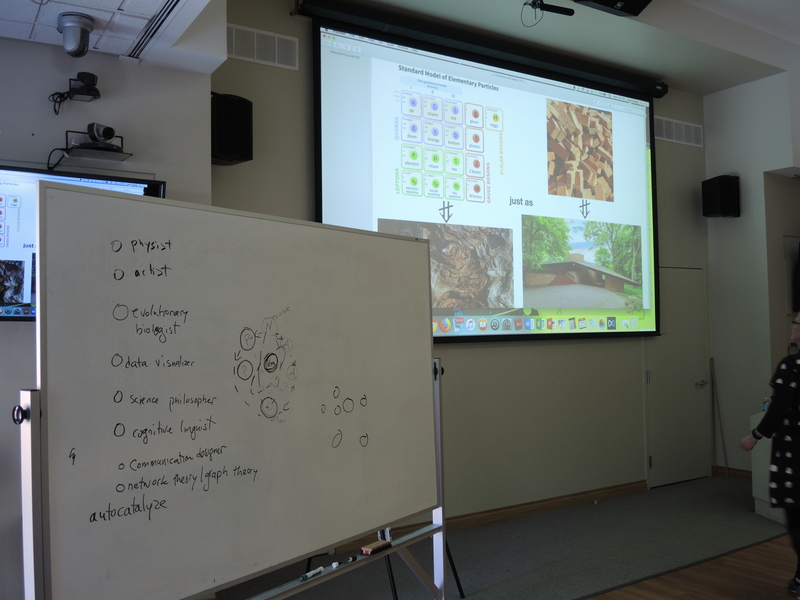 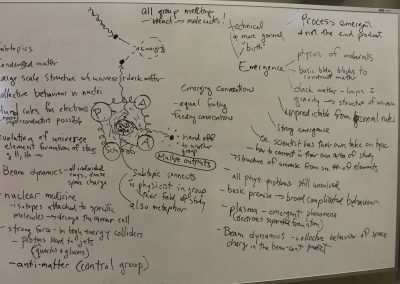 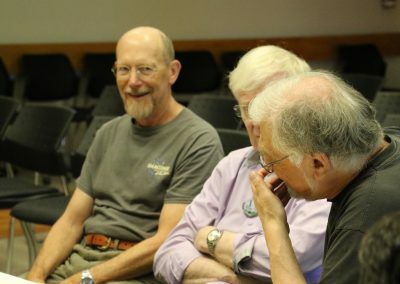 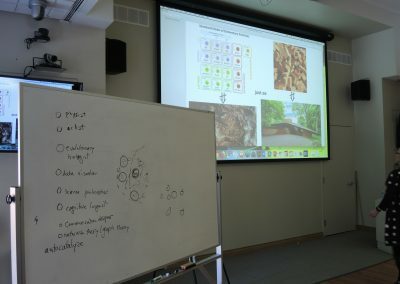 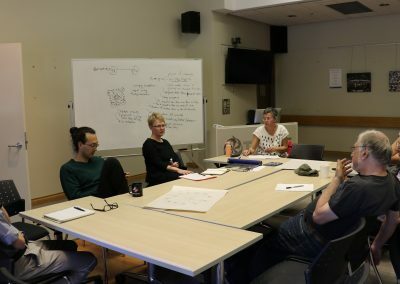 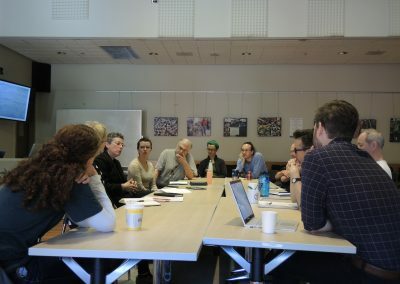 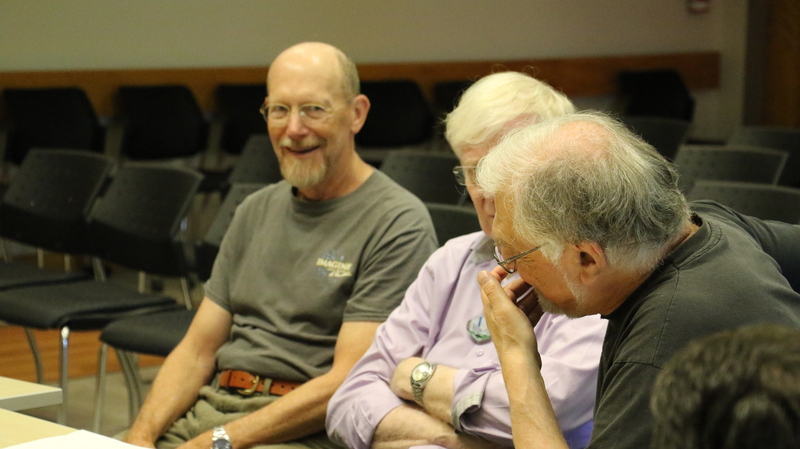 The topic of Emergence was presented by physicists as the basis for the new collaborative venture, and was rigorously discussed along with other potential themes. 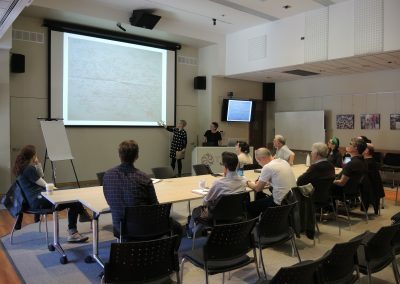 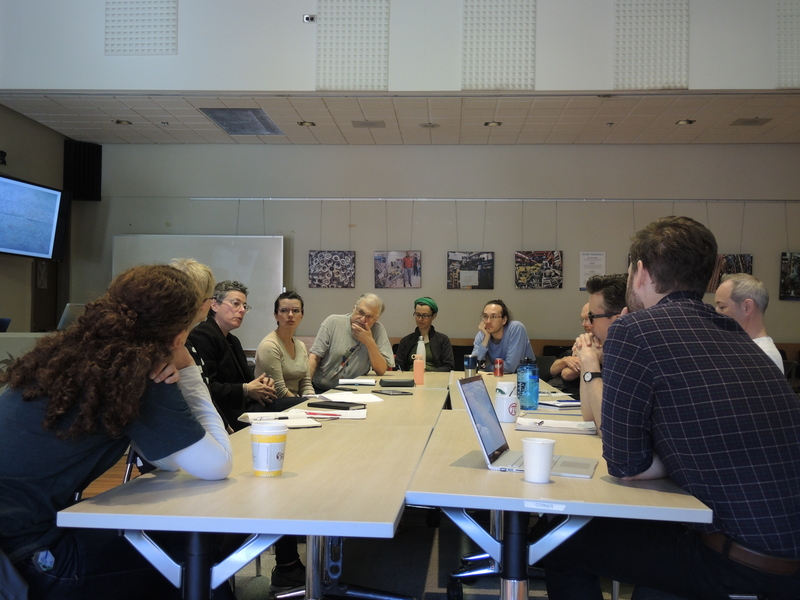 We also debated details for team work, further choreography of artist/physicist/other scholar conversations, length of production periods, how the physics concept related to the spectrum of research work at TRIUMF, and how we could further cultivate a balanced relationship between artists and physicists as well as other scholars during the process.